After 11 years of holding the Rally in the Gorge in Stevenson, the time has come to relocate the event. As a result, the dates will change as well. The 12th Annual Rally in the Gorge will be held Labor Day weekend, August 28 – September 1 at the Hood River County Fairgrounds. After reviewing the feedback from last summer’s event and our own analysis, it became apparent we needed better facilities. While the Skamania County Fairground served us well in the early days of the rally, recent years have shown deterioration in the facilities. The county, struggling with financial cuts, advised us they would not be able to make necessary repairs and upgrades important to us, our staff and volunteers and ultimately you – the attendees and supporters of the event. I have spent a fair amount of time this fall reviewing options and recently signed a deal with the Hood River Fairgrounds to move the event there. There are many good reasons for doing this. For starters, HRFG is situated seven miles south of the city of Hood River, with views of both Mt. Hood and Mt. Adams. 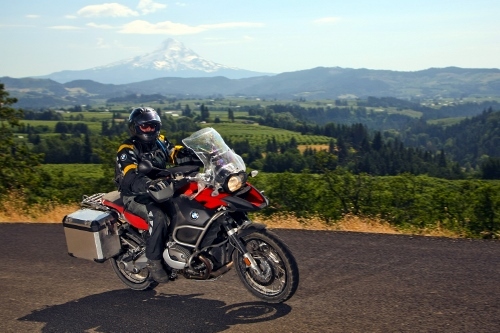 Hood River is no stranger to the Rally in the Gorge and many of you have enjoyed the area roads by way of our fun runs and recommended rides there. 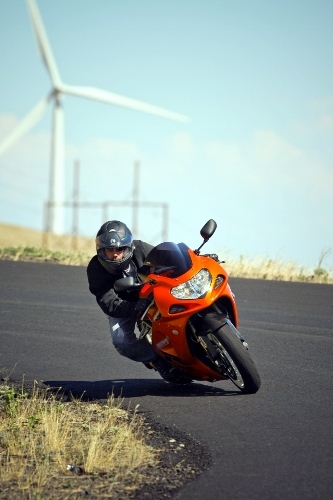 Some of the best paved and dual sport riding is right in the HRFG backyard! Because of the new location, there will be a number of new rides added to our offerings, by virtue of their closer proximity. The #1 most important feedback request has been for better bathroom and shower facilities. HRFG offers that with well-maintained and updated, fully-tiled facilities. The showers are clean and comfortable and you will not be paying to take a shower each time. The camping and RV areas feature green grass, year-round, with plenty of electricity and water hookups. Those electricity hookups come with higher amp ratings than we’ve had in the past, so we do not anticipate the kind of breaker outages as we’ve previously had. The fairground layout is such that all campers may park their bikes right in their camping area, if so desired. The exhibit hall we will be using for registration, in-door vendors and presentations, known as the Community Hall, is air conditioned and features a very nice, fully functional, commercial grade kitchen. With a move to HRFG we lose the wind and the trains of Skamania. Our usual time period had to be changed, based on availability at HRFG. We understand that falling on Labor Day weekend will be a plus for some, while it may not be as optimal for others. In January we will be developing a new website for the Rally in the Gorge and begin posting the schedule and listing of presenters. A new rate schedule will also fall into place, so that those who are not camping or RVing will pay a lesser rate to attend the rally than in years past. We are passing on our savings. As the host city to our rally, Hood River has far more accommodations and restaurant offerings than we have had in the past. There are five times more good restaurants and places to stay for those who want to hotel and motel it. For those who want to tent camp at the fairgrounds, we will once again be offering camping gear for rental. If it looks like an early sell out, we will invest in more tents, sleeping bags and air mats, to accommodate more renters, if need be. Instead of one grocery store, there are four within a seven mile radius, many more gas stations and a full service Japanese OEM motorcycle shop right in town. 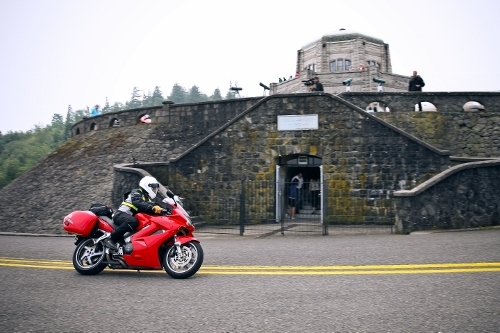 The rally-gator team is looking forward to providing you with the best possible experience this summer and hope that you will make the Rally in the Gorge a part of your 2014 motorcycling calendar. To all our past attendees, we appreciate your support of the event and hope you’ll support it again as we move forward. To those who have never been, you couldn’t pick a better year to come and join in!